Rare and wonderful peonies bloom each spring at Cricket Hill Garden. Connecticut! And it won’t cost you a penny to get in. Each year in May… with the season sometimes extending as long as mid-June… fragrant peonies erupt in enormous blossoms at Cricket Hill Garden. 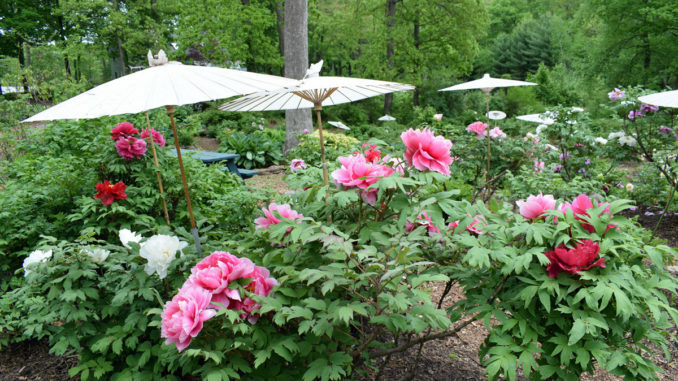 Tree peonies, which make up the majority of the varieties on display, are native to China, and this specialty nursery has transplanted their magic to the woodlands of Connecticut’s Litchfield County. The collection includes rare and extraordinary varieties and many mature specimens that produce peonies as big as cabbages. They’ll remind you of tissue paper flowers you made in elementary school. For 28 years now, this small, family-owned business has welcomed garden lovers to its annual Peony Festival. Check their Facebook page for updates on how weather is affecting the blooms, and enjoy my photo tour (below) for a preview of what you’ll see. If you’re going… Stop at Meraki in Litchfield to pick up sandwiches made with local ingredients for a picnic among the peonies. Peony Heaven is located at 670 Walnut Hill Road in Thomaston, Connecticut. Admission is free. 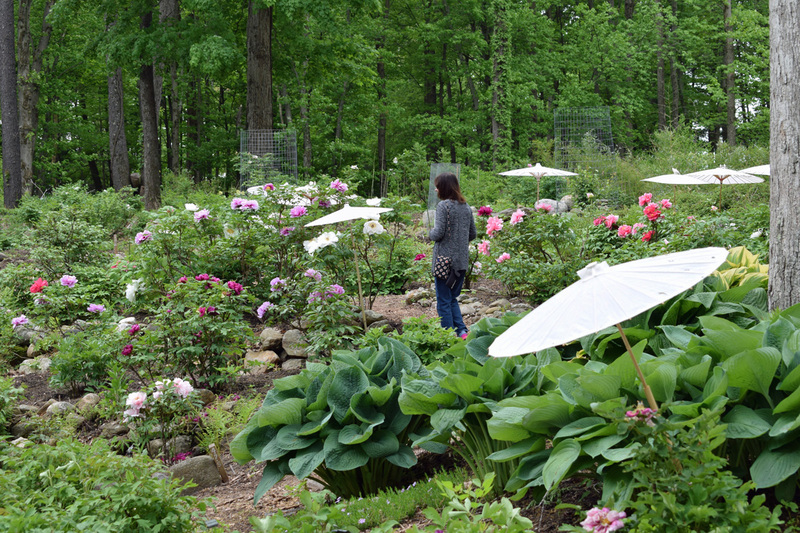 Enjoy this photo tour of Peony Heaven at Cricket Hill Garden in Thomaston, CT. It's immediately evident why Cricket Hill Garden is nicknamed "Peony Heaven" each spring.